Worldwide Hair Productions celebrates as their 1st Annual Fantasy Hair & Fashion Show becomes a success. Some of the best salons and barbers in Savannah and the surrounding areas came together, showcased their skills, professionally entertained the show, and had fun. Fashion blazed the runway with high steppers, flowing attires, colorful & sparkling jewelry, and top of the line make-up. The fashion segments were presented by “My Sister’s Keeper Productions” by Alicia Blakely & Doretha Rice; renowned fash- ion designer, Bynoskia Sams, and Dwight Eubanks known from “The Real Housewives of Atlanta” . 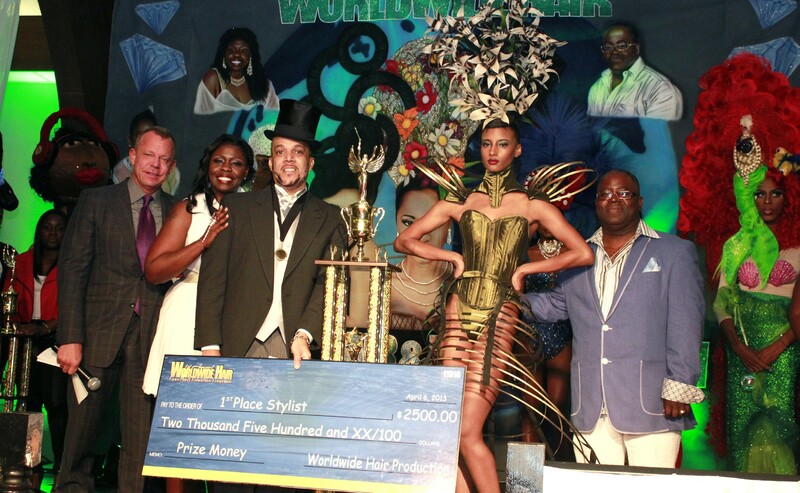 The 1st Prize Winners consisted of Jazzy Cutz and Studio Beau Monde of Savannah, GA.
Stay tuned for more information on Worldwide Hair’s next show in Charleston, S.C. This show will be June 2, 2013. Chris Johnson, owner of Worldwide Hair, would like to thank everyone that played a part of this show and looking forward presenting more shows WORLDWIDE.